Dave & Lori Vigna met Jesus and then each other in Vancouver, WA where they were married 28 years ago. From there the Vigna’s story weaves its way through 25 years of fruitful ministries across the Northwest. Having raised a family of five children, Dave and Lori are now ready to pursue one of their earliest ministry dreams–planting a new church! 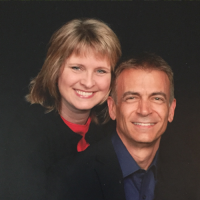 Together, Dave and Lori are a gifted team with a deep passion for reaching lost people with the Gospel of Christ. In November of 2014, Dave & Lori announced plans to conclude their 14-year ministry with Eastside Christian Church (Albany, OR) in order to respond to God’s call for this mission work. They have accepted the CEA’s invitation to plant a new church in the East Vancouver/Camas, launching The Branch on October 4, 2015.